It’s become one of the area’s most anticipated annual festivals, but the Taste of Montgomery County also fulfills a very important role. 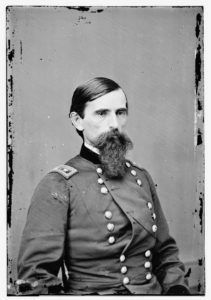 The TASTE is the largest fundraiser for the General Lew Wallace Study & Museum, located on the grounds in Crawfordsville where Lew Wallace penned his masterwork, Ben-Hur. We will hold the 13th annual Taste of Montgomery County on Saturday, August 24, 2019, from 12:00-10:00 p.m. The site of the TASTE was once General Wallace’s backyard, located just north of his home on Wabash Avenue. Many TASTE-goers don’t realize that the General’s bronze statue stands where he set up his rocking chair. Lew Wallace sat under the spread of a giant beech tree to work on his writing in peace and solitude. Wallace wrote a significant portion of Ben-Hur under this tree, known as the Ben-Hur Beech Tree. Hundreds of TASTE-goers congregate in that spot every summer to hear the great live music beneath the shade. The General’s Study building is one of the gems of Crawfordsville. It has seen visitors from around the globe for more than 100 years. The Study features original paint finishes and houses Lew’s original artifacts and personal memorabilia. Most of these objects have been in the Museum’s collection since Wallace’s death in 1905. Revenues from the gate sales at this year’s TASTE will go to fund the Museum’s extensive programming and annual exhibit. This year the museum’s annual exhibit is “From Crawfordsville to Constantinople: Traveling with the Wallaces.” The exhibit focuses on the locations in North America, Europe, Asia, and Africa where the Wallaces traveled. 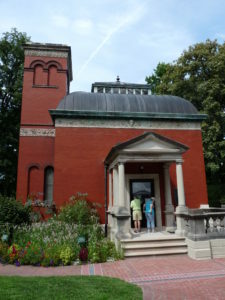 Museum programming this year includes the popular Adult Lecture Series, the Hoosier Authors Book Club, and a summer architecture camp for youth. The TASTE fundraiser is vital in providing these unique experiences to our visitors. Last year, the museum provided educational programs for 635 adults and children on-site and 668 off-site, in addition to our regular, daily tours. Your TASTE admission ticket directly helps the museum provide these programs and create new and innovative programming in the future. Tickets for the TASTE cost $7 for adults at the gate ($5 presale) and $3 for students. Children 6 and under are free.